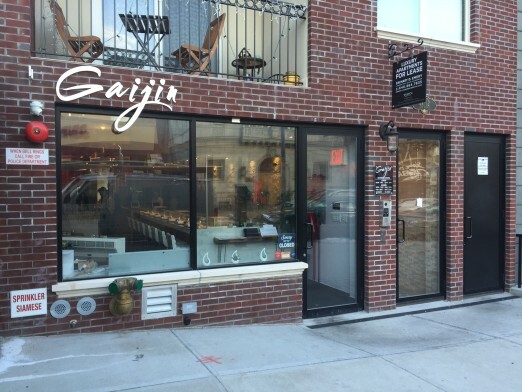 As we previously reported, Gaijin, a Japanese-inspired restaurant on 31st Avenue, opened in mid-December to very positive feedback. 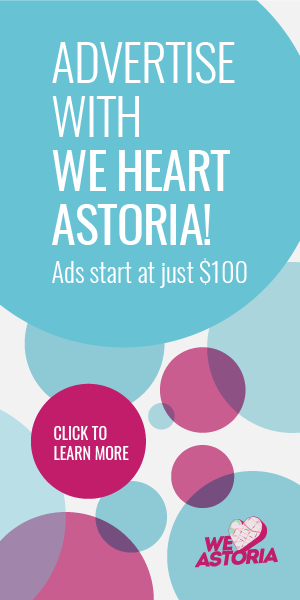 (Check out their Yelp for LOTS of glowing reviews!) During the busy holiday season, they invited us in for a taste of their spectacular spectacular omakase, and lots of deliciousness followed. Since the omakase (a series of dishes selected by the chef, for those who are unfamiliar) will change consistently based on what’s available, fresh, and most inspiring to Chef Mark at the moment, we’ll present you with a few beautiful examples of what we were served. 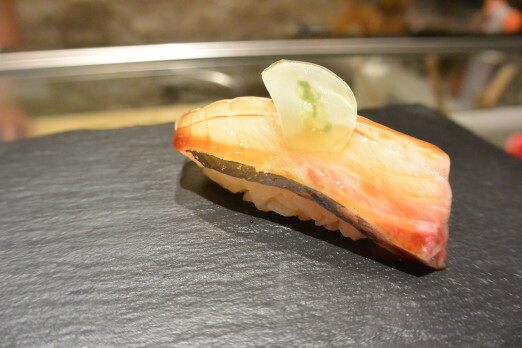 The first piece served during the omakase was a Shinaji yellowtail. 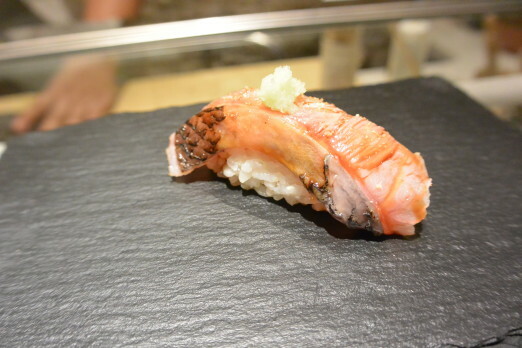 This was my first omakase experience anywhere, and one suggestion from the chef surprised me: He believed that the meal should be eaten with your hands rather than chopsticks to maintain the taste and structure of the food. 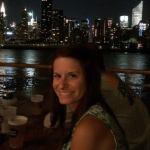 It took a little getting used to, but it was fun! 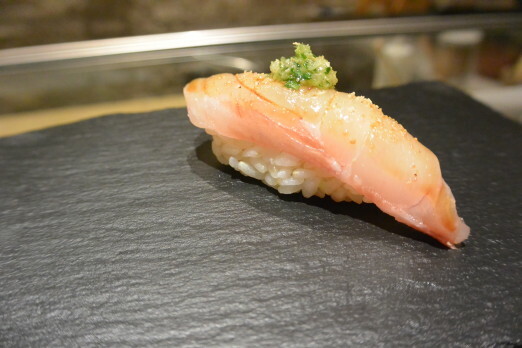 The next piece was Ishigadai, a rare fish that you won’t frequently see on sushi menus. The first thing I noticed immediately about every fish I was served was the obvious freshness. It would be very difficult to pick favorites, since everything on the menu was excellent, but if I HAD to choose, this might be my top pick. Pictured below is Kuromutsu, a Japanese black-blue-fish. It has a light flavor that isn’t too fishy, but does make you want another piece! A more familiar flavor was the Akamai, or lean tuna. However, the gorgeous presentation and freshness definitely provided an upgrade from the typical takeout sushi tuna. 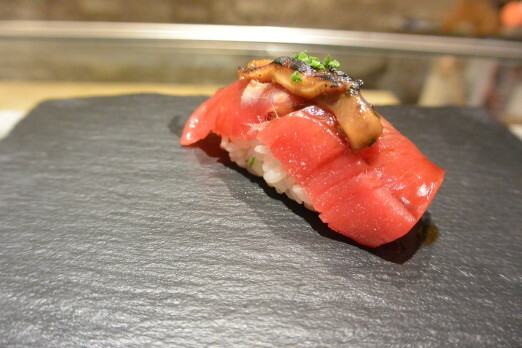 Another familiar flavor with some major upgrades was the Otoro, or tuna tartare. Yes, that is caviar you see on top! 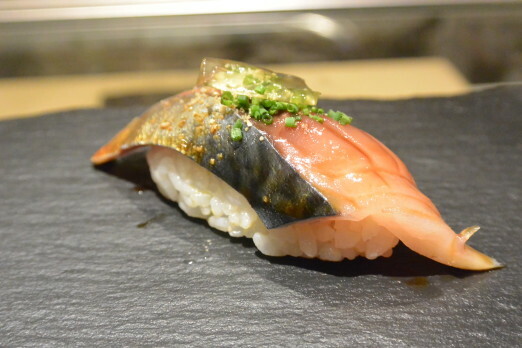 The final piece of the omakase I will leave you with is the Blue Mackerel, another colorful, flavorful, tasty piece of fish. Now on to a few non-sushi items! 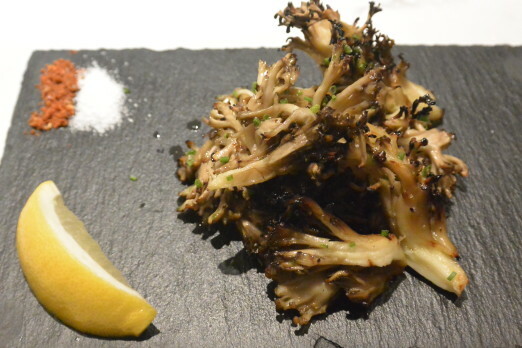 The Maitake mushrooms were a nice earthy, crunchy textural contrast to the fish. Served with salt, lemon, and spices, you can dress them up however you like, even though they were pretty excellent on their own. The next bowl I was presented with packed a whole lot of flavors. 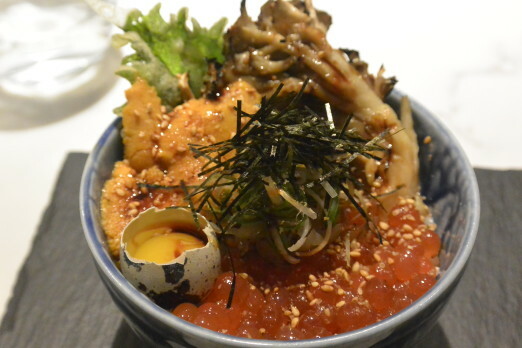 The Uni & Kuri bowl contained a quail egg, tempura shiso, ponzu, and more of those delicious maitake mushrooms. 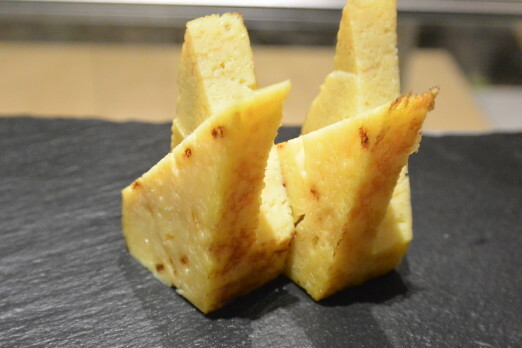 The final bite was a little bit of dessert: an egg-based delight that could be described as a sweet omelette. Another new flavor that was a very welcome finish to the meal! 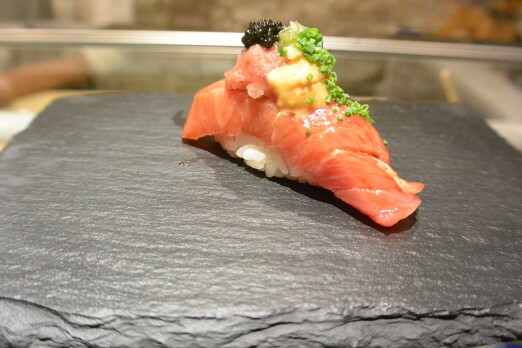 One of the great things about Gaijin’s omakase menu is its affordability compared to other tasting menus in the city. A six-piece set is $45, a nine-piece is $65, and the full omakase is $125. 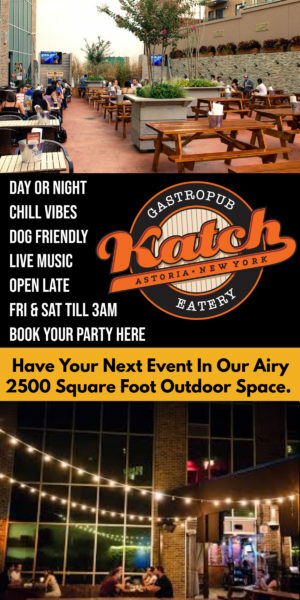 It’s a special occasion worthy meal you can feel good about. Thanks again to Gaijin for the incredible hospitality and excellent meal!